Hello, girls. I’m Chloe, and today I’m going to make things clear shampoo- and conditioner-wise: I’ll uncover that top sweet picks among the abundance of options. If you can walk along the shelves with shampoos and conditioners and boast you know all of them, or you’re a no-poo sect member, you can quit reading. Otherwise, you are welcome. I am here to make the text silky and smooth, to give it some volume and structure. 5.3 Can Shampoo Repair Your Hair? Here is my rating that took me weeks to write and years before to learn. Of course, tastes differ, but sometimes you just like something else better, and sometimes a particular shampoo really causes some irritation or other consequence. I highlighted these cases to warn anyone who reads that. So your hair happened to be dry. I mean, so dry that it’s brittle, and it makes caring harder. Ok, that’s not a reason to go G.I. Jane, if you select the right product. 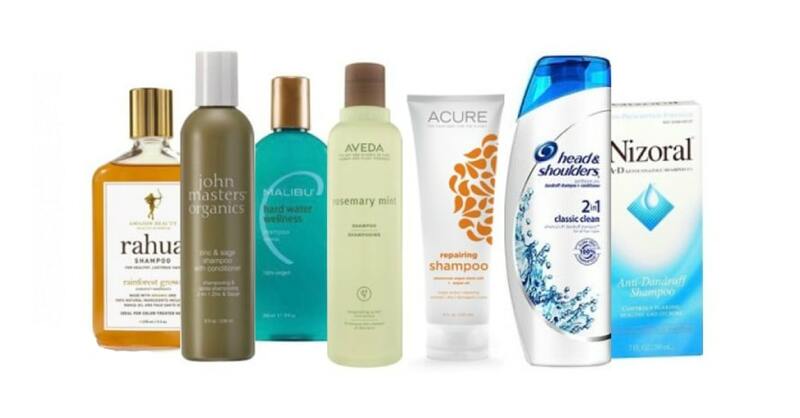 You won’t have to go far to discover the best shampoo and conditioner for dry hair. There’s no need to search for something exotic: mass market offers a good moisturizing pack by Pantene. It includes separate shampoo and conditioner for dry hair, and the name sets it straight that in order to make it work you need to make it your daily partner. Due to the Pro-V composition of elements, it provides nutrition for your hair along with washing and conditioning it. The fruity smell adds the final stroke. 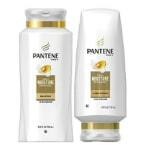 No wonder it’s been around for decades and won’t quit, being the best Pantene shampoo and conditioner in this niche. It’s an especially delicate issue with colored hair. No matter whether you keep your color constant, or swap it according to your mood: the dye needs to stay. So here we need to search a bit deeper. As for me, the best shampoo and conditioner for color treated hair is the set offered by Maple Holistics. This argan oil based set contains a whole range of beneficial ingredients, mostly oils, like avocado, jojoba, camellia seed or peach kernel. These oil-based mixes do the hair good, handling its colors gently. Though it’s oil-based and some may wonder whether it’s good for naturally oily hair, the product doesn’t aggravate that. But I must notice that its pro features define its “pro” price. Well, if you care about your hair, every dime is there. good for keratin and color treated hair. the formula may undergo changes. If you have curly hair or like it curled and want to keep it curly for long, there’s something for you. 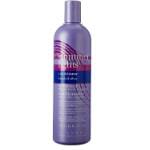 After seeing some products in effect, I liked the best Paul Mitchell shampoo and conditioner. Use both to have the superior effect. While the shampoo cleanses the curls without damaging their natural shape, the conditioner keeps the hair naturally moist, de-frizzes it and makes it shine. And here we see jojoba oil again, though this time it’s the dominating oil component, enough for moisturizing. The right balance of different oils makes it the best shampoo and conditioner for curly hair. 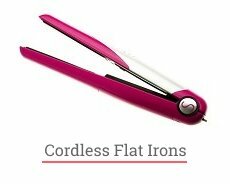 The product may be incompatible with coarse and thick hair, but in most cases, it does the trick well. Again, the price is six times that of Pantene mentioned above, but aren’t your curls worth that? jojoba oil in the composition moisturizes hair greatly. doesn’t work well on very thick hair. When it comes to male cosmetics, I often hear questions about shampoos that I’d prefer. Well, some of my clients, friends and exes didn’t care to use the best shampoo and conditioner for men; they just had the first item they saw discounted, if any at all. But if your look matters to you (and it should! ), your hair deserves no less attention than your teeth, muscles, shoes, and so on. I know men are rarely concerned about the state of their hair to the extent women are. So are the vendors; look at the shelves at any store to see the difference. 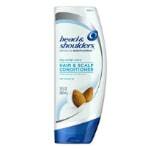 So the best men shampoo and conditioner should be sought among popular options approved by success. By the way, the name “Krieger” means “Warrior”, so you can take it as a part of your camo face paint. The shampoo by Krieger + Söhne is mainstream, versatile and affordable. 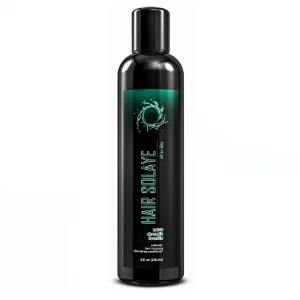 It works well on any type of hair, due to tea tree oil in its formula. And to add extra charm and care, you can fix the result with the conditioner by the same vendor, with peppermint oil added. Among all, it prevents baldness (unless you’re Bruce Willis). great price for two 16-oz bottle set. may dry the hair out. 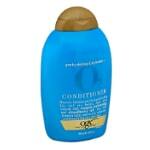 What drugstore pros recommend is the O2 set by OGX, meant to treat your hair gently and make it look great. The hair gets some air and volume with it, gets fluffy and soft. Oxygen infusion promises to make the hair healthier. It also boasts its beautiful smell I wish I could upload. But trust me: it’s amazing. It’s said to be the best drugstore shampoo and conditioner. Alas, there may be individual incompatibility. So I recommend giving it a test-drive before switching to it completely. If your hair has been treated wrong as to become too dry and brittle, you may try the pair by Ouidad. This pair of bottles will look great on your shelf: identic by shape, but different by color. And your hair will probably look even greater. 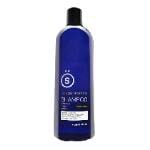 The shampoo boasts its ultra-nourishing cleansing features due to oil-based formula. 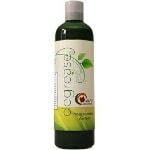 This oil is similar to the natural hair oil, that’s the way to regain its strength and beauty. 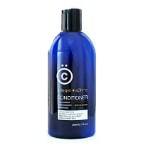 The conditioner is enriched with special proteins to help your hair recover, and botanicals and vitamins as well. And it does just what it says on the tin, so consider it the best shampoo and conditioner for damaged hair. It’s supposed to do especially good on curly hair, as the brand legend insists. In fact, if your hair is straight and you have bought this set, don’t hide it away. Maybe it’s a kind of overkill to your troubles, but it certainly will harm neither your hair nor your wallet. you need just a little bit of it. For those fond of everything natural. I would have emphasized that the smartphone or PC you’re using to read this is completely artificial and synthetic, but I won’t. Oops, I did. Sorry. So if you want a 100% natural shampoo, you can either follow the recommendation at the end of the post or purchase something proven natural, like this one by Maple Holistics. Yes, I like this brand. This versatile unisex set contains (you have guessed, right?) a shampoo and a conditioner. Both are based on tea tree oil that does a good job on the hair due to its antiseptic and antifungal powers. Yet each contains a rich selection of other herbal components. So it gets you rid of dandruff and prevents hair loss or damage. The final stroke: the set is very affordable, so at least try it once. Certainly, it’s one of the best natural shampoo and conditioner sets, so chances are you’ll stick to it. may be too thick for squeezing out easily. Of course, it won’t be as quick as a hair extension. But if you want all of your hair to be your own, it’s better to stimulate its growth with special medicine. I won’t suggest the best shampoo for hair growth from my own experience, because luckily I never had problems with it. But I’m gonna try… with a little help from my friends. What helps you to wake up in the morning? Most of my friends will mention coffee. Surprise: your hair thinks the same. So I’d recommend caffeine-based set by Ultrax Labs. The shampoo is not only meant for growing hair but also for preventing hair loss (that is the other side of the coin). Though, it’s currently unavailable on Amazon for some mysterious reasons. 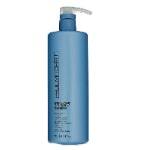 The conditioner formula contains elements revitalizing the scalp, so the follicular function restores. Well, these two are rather expensive. If you doubt whether it’s worth your Benjamin, look at him. He still can afford to wear a wig and enjoy everyone’s love; can you? pleasant lemon and lime scent. Fine things need delicate treatment, especially those on your head. If you happened to have fine hair, you need to care about it more, as it’s more vulnerable to mechanical or chemical damage. But nature always has something in store. Here comes the argan oil again. The set by Luxe Organic utilizes it to add thickness to your hair and improve its durability. Being probably the best shampoo and conditioner for fine hair, it’s suitable for any type of vulnerable hair, be it dry, damaged or frizzy. And it doesn’t impact keratin or color treatments your hair undergoes. The product is also said to have nothing that can damage your hair or body at all. The price is also a reason to try it; it’s quite comparable to much more ordinary items. If you just want to try its effect, you can start with 2 oz travel set. can dry the hair out in some cases. Most vendors advertise their products as sulfate free. It’s reasonable because we all position shampoo sulfates somewhere between Osama and Freddy. But if that’s the major criteria for selection, I’d recommend the set by ArtNaturals. 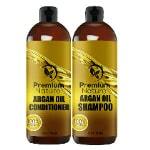 If you’re concerned about natural things, you may like best Moroccan oil shampoo and conditioner. 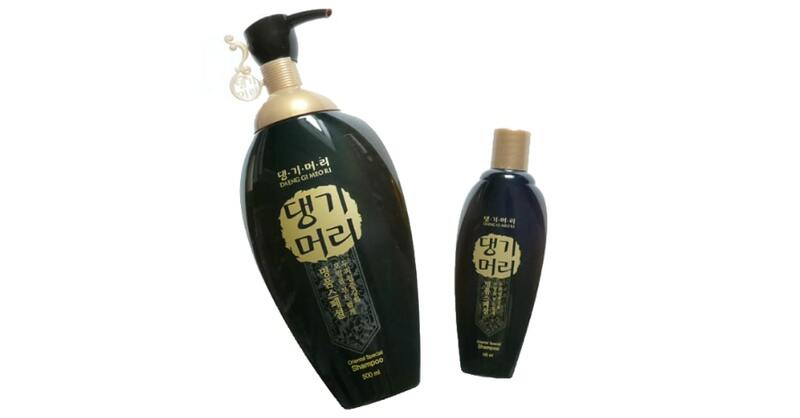 It also contains other oils and herbal extracts that make the hair healthy and shiny. The vendor claims it doesn’t impact hair dye or keratin. I must also notice that it’s extremely cheap (and it doesn’t mean anything bad). For the regular price of two 8 oz. bottles you get two 16 oz. Yet, as customers report, the quality may be unstable and differ from batch to batch. 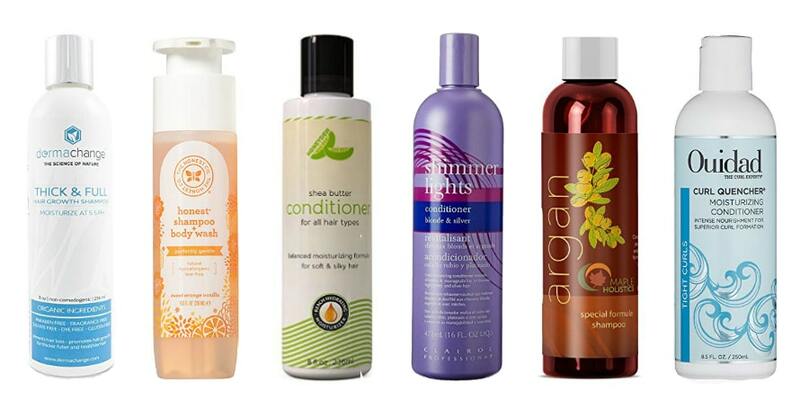 Some are praised as the best sulfate free shampoo and conditioner ever, and some only cause disappointment. So beware of fakes. the vendor can change the formula. Every professional has their own views on what’s the best professional shampoo and conditioner (and the real pros have a large selection to choose something individual for each client). The one I suggest is not so well-known among common users but highly appreciated by those in the business. 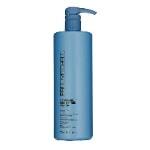 The Oribe duo of shampoo and conditioner offers a lot for its quite professional price. Its motto is “For Magnificent Volume”, and if you like your hair lightweight like the air, you should try it. 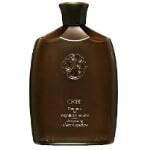 While other vendors boast its natural components, Oribe offers a lot of special polymers that affect the hair in the most efficient way, adding volume and improving health. Yet along with the polymers, the shampoo contains botanical extracts, and the conditioner has some natural oils in its formula. And again: pro products are usually not as versatile as the mass market offers because a professional has to have a large store to select the individual approach from. So you should try it first to avoid disappointment caused by personal incompatibility. requires a little bit of time to prove the effect. While thin hair is a complete vulnerability, its opposite is a problem too because it’s too resistant. Hair too thick requires too much impact to have the desired effect. You have to spend more time on caring; it’s hard to shape it mechanically; and, last but not least, thick hair takes more of everything – shampoo, conditioner, dryer force, and, finally, money. So don’t expect the efficient means to be cheap. But it pays if it’s efficient. 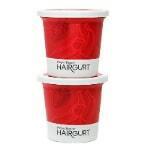 The set by Hairgurt does the work being based (as you can tell by the name) on yogurt elements. 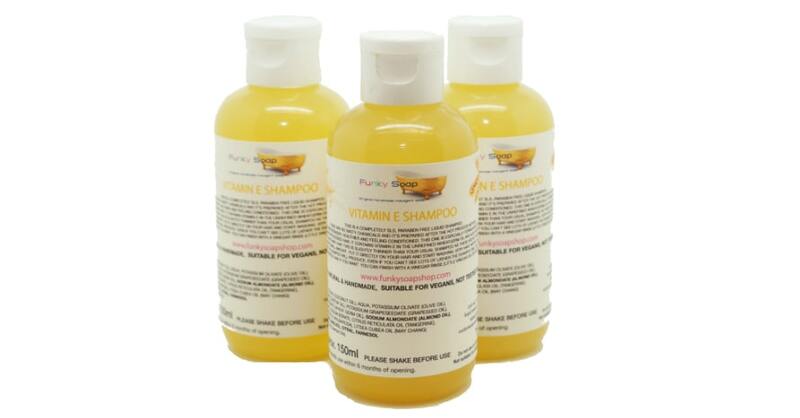 The shampoo is meant for impacting the problem hair heavily, with the strength of botanical oils and prebiotics added. The conditioner makes the effect last. Both are strawberry banana flavored, and it feels. Even if it’s not yours, the price is too moderate to aggravate your disappointment. But chances are you will like it. And still, don’t hurry while processing your hair. While the formula is stronger than regular products (which makes it the best shampoo and conditioner for thick hair), it won’t act instantly. the texture might be not the type you like. Well, while thick hair resists your attempts to tame it, the thin one is just the opposite. There’s just not enough of it to do the haircut you’d like to try or even to protect your scalp from sunburns. So you need something that stimulates growing thicker. And you deserve the best shampoo and conditioner for thin hair to get it the way you like. There’s something to offer by Keranique. The set of shampoo and conditioner is meant for strengthening the follicles and the skin, and improving your hair microcirculation, hydration, strength, and smoothness. 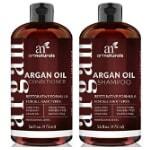 It contains Keratin Amino Complex that does the work and is claimed to be free of sulfates, parabens, and dyes. The conditioner’s mission is also to help hair regain strength so you’ll stop losing it while doing it with a hairbrush. It’s quite a specific item, so it’s not as popular, in spite of its qualities and affordable price. Yet those who have tried say it’s the best shampoo and conditioner to help hair grow. In this particular case, it may be real salvation. can have side effects on hair (though rarely). One of the most specific features of the hair is its color. Being a natural blonde (damn the clichés!) doesn’t impact your behavior, except for special ways of treating the treasure on your head. Besides other positive effects, the shampoo is meant to sustain the color white or silver, keeping it from turning ashy, brassy, or yellowish. It doesn’t matter whether blonde is your natural color or dye. I must warn you that it does contain sulfates. Some recommend blending it with regular shampoo. Though the vendor recommends keeping it on for two or three minutes, some users noticed that it works better when rinsed almost immediately. Well, even the best shampoo and conditioner for blonde hair requires some special handling and a bit of observing and thinking. 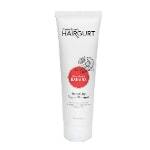 Nor does the conditioner only silken the hair, but also contributes into keeping its color light, without brassiness. It contains a rich set of emollients and moisturizers, so it does its primary work well too. To tell the truth, I (being black-haired) have only seen the results of its application, but I like it. I should have spoken of it from my own experience, but the one that impressed me the most is, again, not meant for hair like mine. Yet I was so impressed to see it that I put in into this rating. So, the set by Honeydew (of the default two items) is probably the best shampoo and conditioner for black hair, especially for curly. If you think of those of African origin, yes, that’s the audience if they wish to highlight their natural features proudly. But in the global world you may select your style from wherever you like, so even if your curls are of any other origin, you still may have the great result with it. 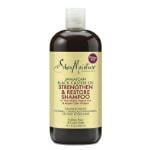 The shampoo boasts its 100% natural oil-based formula, with no sulfates. The main oil ingredient is avocado, though it contains more herbal extracts. It does the curls especially good; I’ve even suspected my French friend to have some Moroccan ancestors after seeing her all curled up with this, shiny and gorgeous. Great reason to praise it as the best shampoo and conditioner for African American hair! The conditioner even highlights its ethnic style by mentioning African shea butter, Argan oil again, and pomegranate as its ingredients. It’s claimed to help with all the problems curly hair can cause. The price is not just moderate – it’s surprisingly low for the default 8 oz. volume. good both for African-American or just black hair. reported to dry hair out (though rarely). Though the original dreadlocks are 100% natural (that means, they require no hair care at all for a long time), today they are a special kind of art. 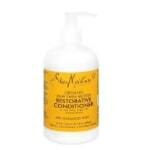 Here is maybe the best shampoo and conditioner for dreadlocks by SheaMoisture, of two items sold separately. The shampoo is based on castor oil, while the conditioner is on raw shea butter. Dreadlocks caring is hard due to the unavailability of hair inside, so the chemical action should be strong. And it is. The shampoo cleanses the dreadlocks that collect a lot of oil and dirt every day, and the conditioner does the work of strengthening them first. It’s also hard to overrate its repairing features. no need to use it daily. sativa in its formula is Daucus Carota, not Cannabis. As kids are more vulnerable than adults, the shampoo makers should create a special formula with no aggressive ingredients to produce the best shampoo and conditioner for kids. Mild and tender, it should be even safer than adult products, as kids might taste it or expose their eyes. And still, it should do its work on children’s hair. These kids set by The Honest Company (oh that naming!) is affordable and popular. Besides its natural formula, it also has a distinct orange vanilla smell, versatile and pleasant. Hypoallergenic and tear-free, it’s sure to be the optimal option for the kids. Mind the design. It doesn’t look kiddy; it’s strict and adult. Some vendors make their products look like toys, which may make them more attractive to kids. Luckily, The Honest Company doesn’t play these games, justifying its name. kids (and adults) may dislike its smell. Keratin treatment is a delicate matter. You should select your haircare wisely not to destroy the keratin effect on your hair, and it’s even better when the shampoo offers keratin share of its own. So it takes some special selection, like this pair by KC HiLiTES. The KC in the brand name stands obviously for Keratin Complex, which unveils a specialized product line. The product doesn’t affect the straightening effect or color treatment due to sulfate- and sodium chloride free formula. It does the rest just like it should, with shampoo cleansing the hair and the conditioner providing volume and smoothness. As the best keratin shampoo and conditioner should, it contains its own share of keratin, quite enough to feed your hair between treatments. It will last: the set contains two 13.5-ounce bottles. And the price is more than affordable, with its specific properties. watch the quality to avoid fake product. 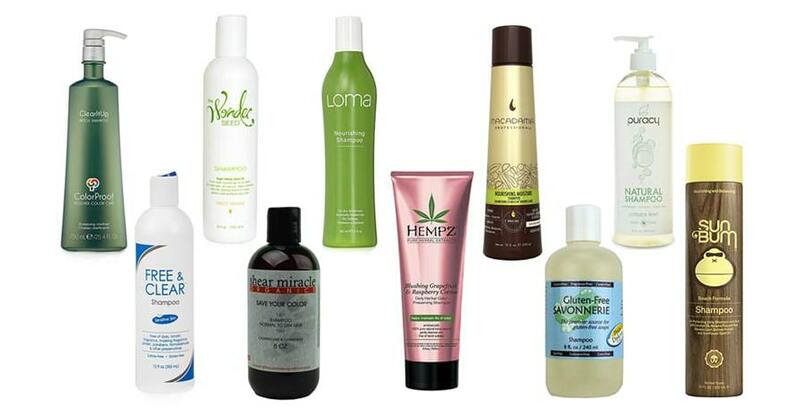 What do we need from a product to call it the best shampoo and conditioner for everyday use? It should be versatile to suit most situations (your hair right after cutting or after no cutting for long, dry or oily, and so on). It should smell pleasant and leave your hair clean and dry quickly. And of course it should be easily available, so you don’t have to order it from half a world away hoping you won’t run out of shampoo before the parcel arrives. So the search should be done within the mass market. 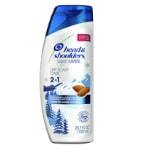 As for me, the pair of these Head & Shoulders items (shampoo and conditioner) does just perfect. Almond oil is what makes it recognizable and pleasant; the rest of the work is done properly. The dandruff is a real curse for hair like mine. I meant “was”, because this pair helps with getting rid of it. People recommend to use it with cold water; but no, I’m of those who like it hot. Though it’s a solace to know that (when in the mood) I can use it with a cold shower as well. And for the first time in this rating, I offer you not a traditional set, but two different products by different vendors. The best shampoo for thick oily hair seems to be the one by Maple Holistics again. It’s good at removing dandruff, oil and grease due to its formula including jojoba, cypress, lemon, and rosemary oil. It also does your follicles, capillaries, and your scalp good to neutralize harmful environmental impact. Especially it is effective at healing sebum secretion. And as the best conditioner, I recommend one by Tru Moroccan. It’s said both to give the hair volume and to help with an oily scalp. While we think that quality means price, the best shampoo and conditioner for thick oily hair will hardly empty your pocket, and (despite not being a set formally) they work together very well. not by the same vendor (if it matters to you). Ahh, and here comes the argan oil again. Being one of the cheapest available, this set by Premium Nature is also quite versatile that helps it up here (instead of some other budget options above that are good at their specific mission). After seeing the tag, mind the volume: for the price of standard 8-oz set you get a pair of 16-oz bottles with shampoo and conditioner. For its price, it offers a great set of features. Besides being sulfate-free and containing a selection of oils (argan, jojoba, avocado, camelia, almond, and peach), it’s also good for any type of hair. 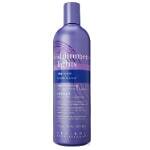 It works gently on both dyed and keratin treated hair. More of this: this set is unisex, with versatile active ingredients and neutral pleasant smell. Yet I must warn you that individual incompatibility cases have been noted. Besides that, the formula is reported to undergo some changes, so does the effect. So the result may vary with the batch. You’ll get the best budget shampoo and conditioner if you’re lucky. The set by DermaChange is claimed to help with hair loss and to strengthen the follicles and the hair itself. The formula includes coconut and orange peel oil, cassava, aloe vera and vitamin B5. The effect is thickening fibers, helps regain proteins, removes dryness and makes hair less brittle. Some report it helps hair growth; but that’s not granted. The product is completely vegan so it doesn’t contain any animal or artificial ingredients. It used to contain honey, but the formula has been reviewed to make it truly vegan. As the vendor says, it minimizes the harmful impact and maximizes the good one. It’s specifically oriented to help with thinning or hair loss, and (as it’s a men’s problem as well) it’s unisex. The vendor recommends avoiding hot water and using warm instead, as well as working on your scalp and hair gently. Even the best strengthening shampoo and conditioner need to be applied right. may get your hair dried out due to individual incompatibility. The set of the best moisturizing shampoo and conditioner is enriched by olive and argan oils, pumpkin seed extract, apple extract. These substances are meant to moisturize the hair, protect it from further drying and prevent split ends. 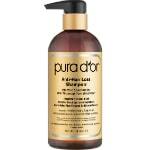 It contains no sulfates or parabens, being good for sensitive skin. Besides that, it smells very pleasant. Doing the work well and with a bit of fun – that’s what the best moisturizing shampoo and conditioner should be like. This set is quite popular and has amazing ratings. The reason is it not only deeply moisturizes your locks, but adds extra volume and body to your hair. And due to its thickness, it will last. So it’s good value for money. adds volume and moisturizes deeply. Though Pantene is claimed a mass brand, this particular product seems too specific to become a hit. Dry shampoo is not as widely popular, but this one, being the best dry shampoo and conditioner, has its undoubtable pros. If you use dry shampoos, you know the rules. No washing, no immediate rinsing, and (the best part of it) no long dull drying. Spray it out to your roots and do your brushing, that’s it. By the way, this one is unisex. Pantene Pro-V formula consists of chemicals frightening by their names, but OK for the genre. The quality is also decent, but make sure the item you buy is made in the USA. Outer markets rarely enjoy the same quality by this vendor. Unfortunately, this one got significantly more expensive recently. It happens with niche products, but if you remain true to dry shampoos, that shouldn’t stop you. You may use your regular conditioner after, but this one is the exception that does both jobs. 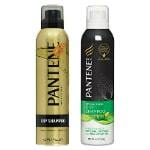 And, being a spray, Pantene Pro-V Dry lasts long, so even the current price seems reasonable. the price got higher in 2018. The last position of my list only contains the shampoo. 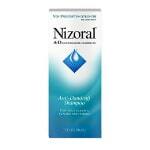 When it comes to dandruff removal, Nizoral AntiDandruff Shampoo is a kind of superhero. It protects your scalp from temperature damage, reduces dandruff down to zero and cures its consequences like itching and flaking. It contains 1% of Ketoconazole, the active substance that does the specific work. The vendor doesn’t boast any additional pros; it’s a one-track product. Fix the effect with the conditioner of choice. Remember that it’s just a shampoo; it won’t cure diseases like psoriasis on its own, without a special therapy. But the right combination may be the best shampoo and conditioner for dry scalp and dandruff. And mind that it does contain sodium lauryl sulfate and sodium chloride; that’s the chemical weapon it takes to fight dandruff this way. It’s harmless when used moderately, but don’t abuse it to avoid irritation, just take your time. only required two times a week. requires some time before rinsing (up to 10 minutes). Maybe I demand too much, so none of the items above is listed as “Chloe’s Happiness”. But if someone you speak to about music can name their favorite song exactly, that simply means that they are not so deeply into music at all. The same is with books, movies, actors… And with haircare too. I remember an epidemic of home soap making after Fight Club; some of my friends evolved to making shampoo. Not me, alas; yet I had access to the kitchen they used for cooking. And it really impresses with its ease (unless you go deeper and prepare all of the components from natural sources; but you don’t have to). Still, if you believe that the best healthy shampoo and conditioner is homemade one, but were never into it, that’s easy. I don’t know what color and which finger one should have to get into home shampoo making. But one thing’s for sure: if you don’t trust formulas, make your own. The generic recipe is quite simple. other components for your specific needs (some are listed below). Mix them in any bottle you like, or even in a bar mixer. Add some distilled water to dissolve it so you don’t have to squeeze it out with force. Pour into a foaming soap pump to produce foam each time you get it out. While mixing, you can add certain ingredients to pursue your aim. There’s a whole Google of info what to add for thickening or strengthening your hair, to battle dandruff or to prevent baldness. It would take a monograph (and while writing it I’d learn how little I know by now). But still there’s some advice. Google it to learn what you want! Well, when I mentioned sulfates and silicones, I meant you’d take their harmful impact for granted. It’s more complicated in fact. The most notorious substance is sodium lauryl sulfate. Being inactive by itself, it catalyzes the impact of other active ingredients and makes the shampoo stronger. Is it good or bad by itself? On the one hand, it helps you to spend much less shampoo than you would otherwise. On the other, if your skin or hair is too vulnerable, the harmful effect amplifies too. 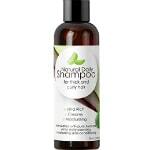 The only way to know it is to dare and try to alternate sulfate-free shampoo with a sulfated one (both should offer the same experience but mind the formula). You may experience different changes after switching, but the one that matters is the irritation. If you don’t feel allergic pains after trying a sulfated shampoo, then it’s OK. If you did – keep away from it, as the market if stuffed with sulfate-free options. Other differences may cause slight changes in hair look. Whether you’re sulfate sensitive or not, it’s not a lifetime sentence. You may become alert to it at aging, or your sensitivity may decrease after the right type of therapy. The silicones are a two-sided coin. On the one hand, they fill the pores of your hair to lock the conditioner in, so its effect lasts. But the same effect makes the hair heavy, lifeless and dull. So they’re really better to avoid. No matter what excellent and compatible with your hair shampoo you utilize; doing it wrong spoils all the good work and makes your bright soft shiny hair look like you haven’t washed it at all. Take your time between the shower and the comb work. Wet hair is most vulnerable to mechanical influence that can become violent. The effect is even more harmful if you’re using a comb or brush with small sharp teeth. Read what’s written on the bottle. Companies have their reasons to test their products and to tell you how to get the announced effect (at least their lawyers can use it in defense). So, maybe, this particular type of shampoo requires immediate rinsing or taking your time, and that one shouldn’t be used with hot water, only with a warm one. And so on. Read the factory manual! Mind your hair type. What works well on Instagram celebrities or your friends can be a complete fail for you, due to some nuances left out of the picture. You better consult your barber on how to treat it to get the result you like, and follow the recommendation for some time. If you’re satisfied with the result, that’s your way (unless until you’re in the mood for some change). Don’t neglect hair masks: they are just as important as face masks. Dry your hair naturally as often as you can afford. There’s nothing bad about electric hairdryers as long as you don’t overdo them. 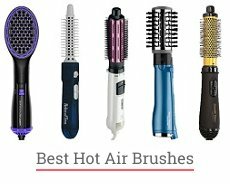 But in order to keep your hair from drying out you better also put away your curling iron and pull it out for some exceptions. Don’t wash your hair too often; let it regain natural oils. But don’t neglect it completely, unless you want to try true, rampant dreadlocks. Try other products from new vendors or lines sometimes. Even if you think you’ve found yours, some change will catch you unprepared, so the formula will act more efficiently. Change your hairstyle from time to time. Your ponytail may be great to you, but sometimes you need something more ladylike. And vice versa: no matter how noble your style is, you can act badass for a while, with your hair just as razzmatazz. Did you notice that the Pro selection contained two separate products, and very few of the positions above are “2-in-1”? It’s no coincidence. Some vendors offer these combined products that make consumers believe they can save money on it. To understand it’s not true, you must just take a look at how shampoo or conditioner works. The former does its work of cleaning hair within 2 minutes or so, then it needs to be removed (otherwise it will become dirt itself). The conditioner should be active for a longer period. The only exception is dry shampoo, with its specifics. These items can do the two works, as they’re on your scalp to stay for a while anyway. As a rule, kids’ shampoo acts more gently. Yet its tenderness is a two-sided coin too. While it works wonders on fine and vulnerable hair, the problem cases may require something harsher. But, in fact, there’s no strict prohibition on that. Baby shampoo is a good option for allergic persons; vendors do their best to make baby products hypoallergenic. It won’t sting your eyes or hurt your stomach if you swallow some accidentally. And baby product can be the best shampoo and conditioner for dry hair, because it’s sulfate-free and thus has less drying effect. It’s proven good on blonde, particularly. It doesn’t work vice versa. Kids should only be treated with baby shampoo, or with the handmade product if you’re into it. Almost any adult shampoo will appear too harsh and aggressive. Can Shampoo Repair Your Hair? Alas. It’s just daily care, not a cure. 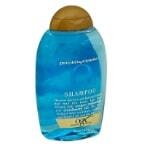 Shampoo can help your existing follicles from dying, but it can’t stimulate new ones to appear. It can’t glue up the split ends as well. It’s possible, of course, but it will take you much more than selecting the right care substance. What does help dry and cut ends is a special therapy that involves specific oils, masks, and, of course, scheduled haircutting. 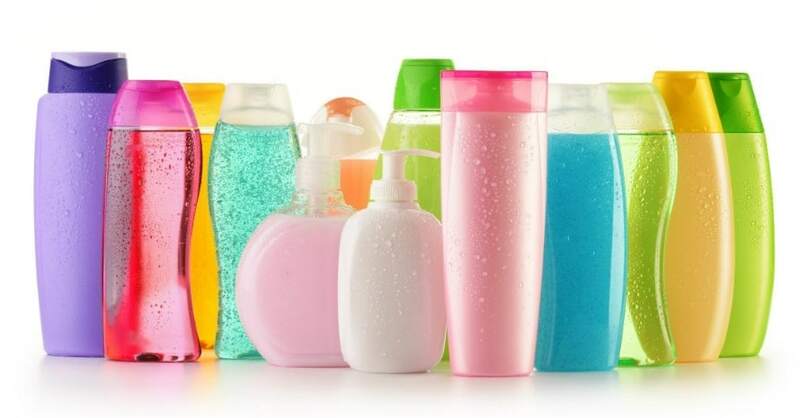 Soap and shampoo bottles sometimes look so similar that you may mistake them (especially if you’ve closed your eyes; don’t laugh, I do sometimes). But oh, their contents are also so much alike! Maybe it’s possible to use liquid soap instead? For example, when you’ve run out of your favorite shampoo, and the delivery for some reason takes too long? As we already know, homemade shampoo is often based on liquid soap. So there is some reason in the idea. Anyway, the shampoo has been invented not so long ago, and all the time before that people used soap to wash the hair, if lucky enough to have any. But if you return to the recipe, you will see that it includes specific herbal oils, silk proteins, vitamin B5, and other ingredients the soap obviously lacks. So it will only do the basic job of cleaning the scalp skin and partly the hair. As a result, the hair will probably be left thicker, have less volume and with more oil left on it. It equally concerns men and women. The effect can be softened by applying conditioner (if you still have some in the bottle), but not eradicated. In the situation described you can use liquid soap as a temporary substitute, but no longer than three or four days. Then (if your order is still lost somewhere on the road) you better buy any similar shampoo in the local store. It may be not the kind you prefer, but anyway it does the shampoo’s work. I must confess of being a little selfish while writing this. None of my parts knows what style or color I will wear in a week. So I can return to this work to look for a self-advice. And maybe remember something left overboard while writing. No, I didn’t get paid for mentioning any particular vendor or receive any sample for free to advertise them. And it wouldn’t make sense: shampoos and conditioners are all different, and my head isn’t large enough to grow all hair types. While we may look completely different, we’re all humans with the same head given to acknowledge what we do, not only to wear our hair on it. And even if you happen to have none (I mean hair, not head), the scalp still requires some care. Thank you for the time spent on reading this, and I hope it will help. And you may have your own views of what’s better for your hair, whatever type it is. The market is so large that some gems could just slip through my attention or remain unnoticed at all. So I’ll be grateful for any comment you write on this.